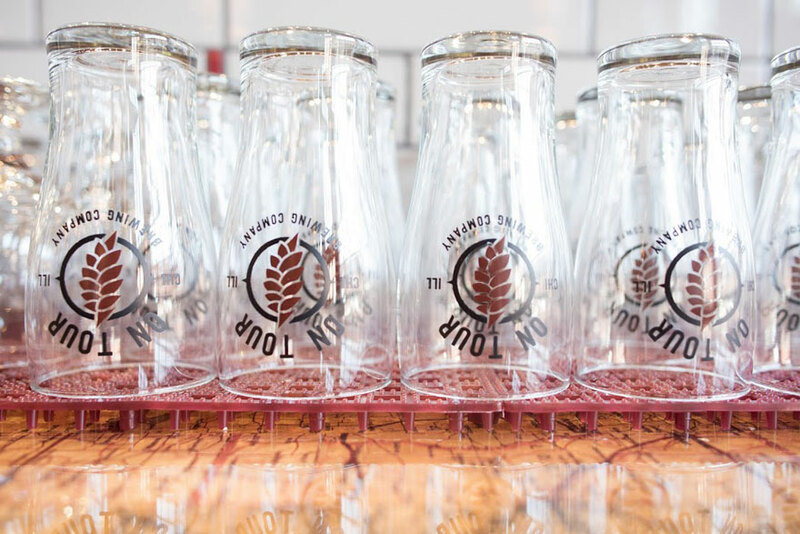 On Tour Brewing - New Chicago Brewery Now Open! Close your eyes and remember the last time you felt truly free, suspended in a moment independent of past and future. Evoke a memory, no matter how faded, when the only pressing matters were how hard you were laughing, the cold beer expertly poured just for you, or the songs on the play list. 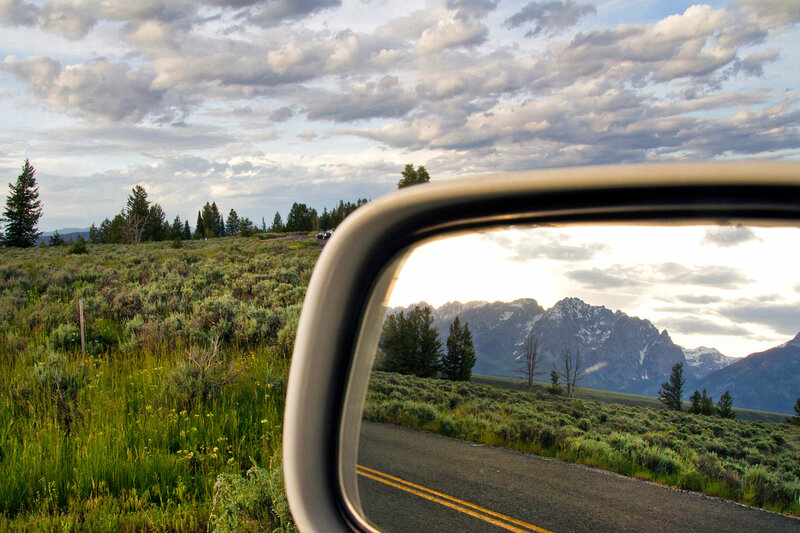 Maybe it’s a road trip you took in college, a lawn chair with a lake view, or finally seeing your favorite band live on a warm summer’s night. 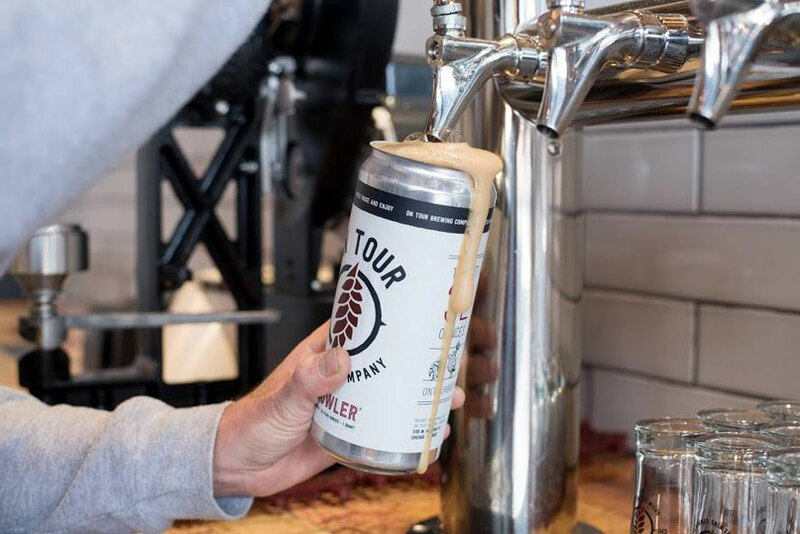 On Tour Brewing Company celebrates life’s understated, casually significant, yet fleeting moments. 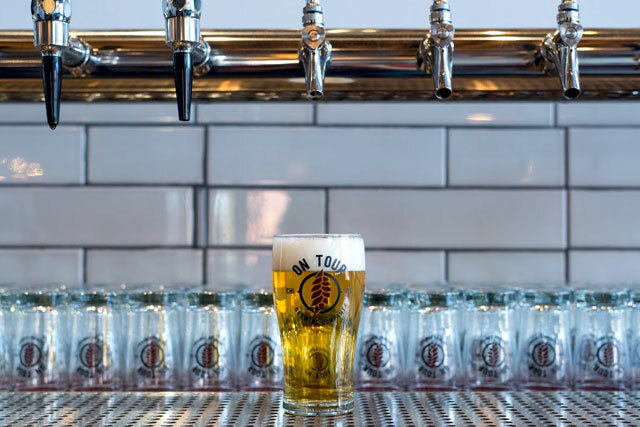 Each carefully selected element of On Tour’s ambience captures the easy spirit of a simpler time and invites locals and tourists alike to linger, create memories, and sip a wide selection of carefully crafted, distinct beers. Glowing amber lights illuminating the tasting room create a warm, alluring atmosphere passers by will find captivating and magnetic. They will welcome the opportunity to journey inside and leave the world behind for a pint or two. On Tour’s unique interpretation of the treasured brewery tasting room keeps the charming brewery and barrel rooms at the heart of the space, showcasing them as a major element of the interior. Industrial and natural materials incorporated with modern components symbolize the interplay between our free spirited and serious temperaments. On Tour’s artful, unexpected details will round out this new concept, making it a truly unparalleled experience. Now, let’s go get lost. Take a 360° Virtual Tour! No reservations taken. Just walk on in and we’ll take care of you. 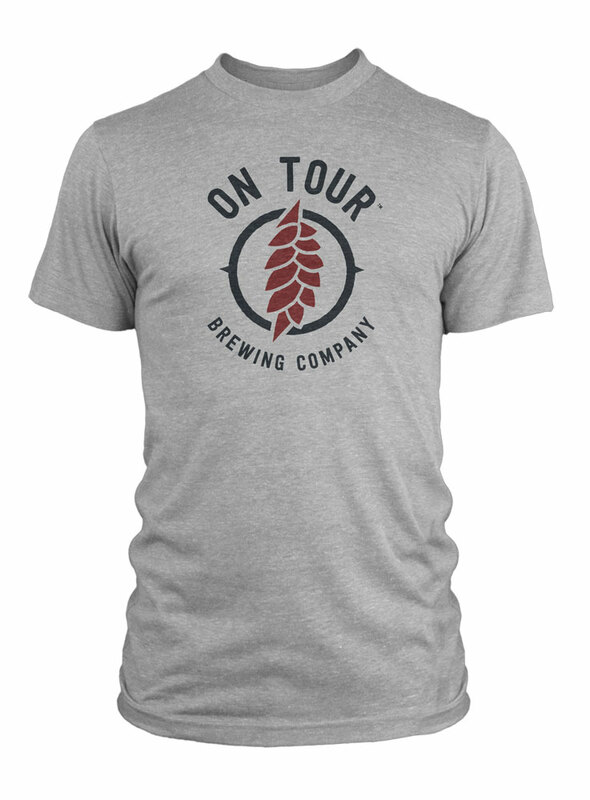 Closest Station is at Wood St. & Hubbard St.
On Tour’s vintage style womens’, mens’ and youth t-shirts, sweatshirts, tanks, and caps will be available for purchase in the tasting room. Keep an eye out for our fan photo wall. 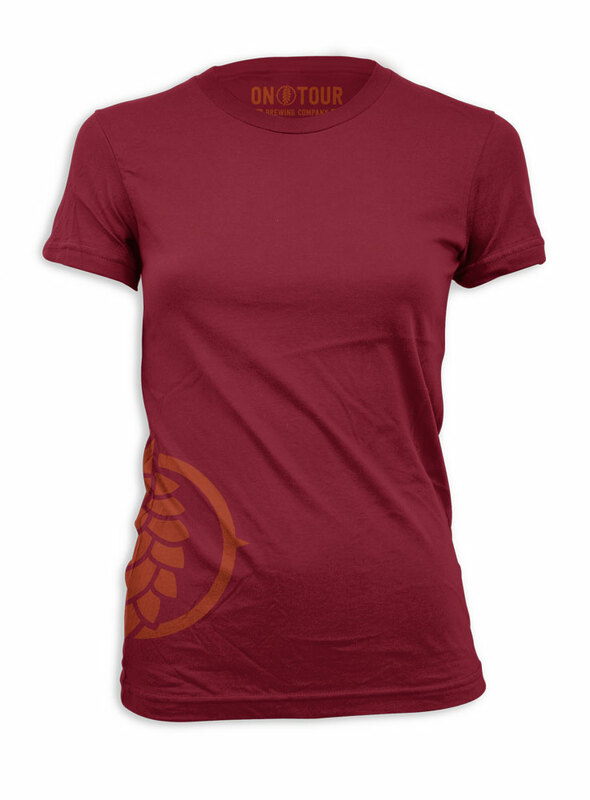 Join the fun by posting a picture wearing our logo and tagging us! Make sure to use #alwaysontour as your hashtag! We’re not hiring right now, but follow us on Facebook and Instagram for more job updates!